Ciara has been working in the Real Estate Industry since 2017, she has completed both her Certificate III and IV in Property Services. Ciara's Passion for Real Estate continues to grow since doing work experience with Lakeford Real Estate in Year 10. 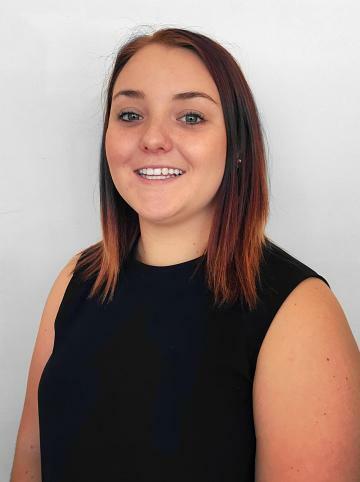 Ciara is your go-to girl for any enquiries, questions regarding to Rental Properties. This property is situated in one of Gunnedah's most sought after areas of town and offers more then you could ask for. The home features 4 good sized bedrooms with the main bedroom featuring built in wardrobes. It includes a good sized living room with split system cooling and heating, ducted evaporative A/C, modern electric kitchen, neat and tidy main bathroom and second toilet and shower in the laundry. It features a good sized fully fenced yard with garden shed and store room. Tidy home in sought after location! Property With Plenty of Potential! Available from Sunday 19th August through to Thursday 23rd August. Freshly painted three bedroom home. Neat and tidy 4 bedroom home in the Main Street of Boggabri. - Double block - Bathroom includes a shower over bath - Large laundry with shelving - Undercover outdoor entertaining area - Two garden sheds - Large fully fenced backyard DISCLAIMER: Whilst all care is taken with the information supplied no warranty is given and you must rely on your own enquiries. This inviting home is situated in a convenient part of town. The home offers 3 bedrooms, 1 bathroom, 2 living areas and ducted air conditioning throughout. With a large back yard, a single lock up garage, out door entertaining area and a front verandah. Location, Size & Beauty - Everything you want! Gorgeous home in a great location! This beautiful home consists of: - 3 good sized bedrooms, the main with built in wardrobe. - Large gas kitchen & dining area. - Separate shower and bath. - Evaporative air conditioner & gas heating for year round comfort. - 2 large sheds. - Fully fenced yard. - Stone's throw from Gunnedah Golf Course. -No pets allowed. Inspection by appointment with Agent. Applications subject to reference checks. NB. We do not accept online applications. We have a cosy one bedroom house available, great size for a first time renters!